Kilauea Neighborhood Association » KNA meeting agenda for Tuesday September 5, 2017. 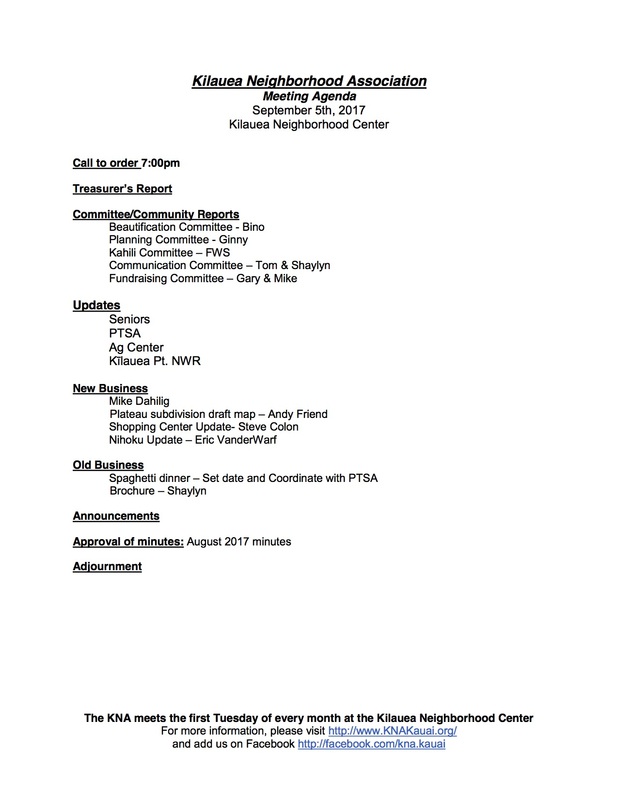 KNA meeting agenda for Tuesday September 5, 2017. See you there, 7 pm at the Kilauea Neighborhood Center.